Full demonstration of Clean Water System to second of three groups. Drawing water to fill cups for drinking. 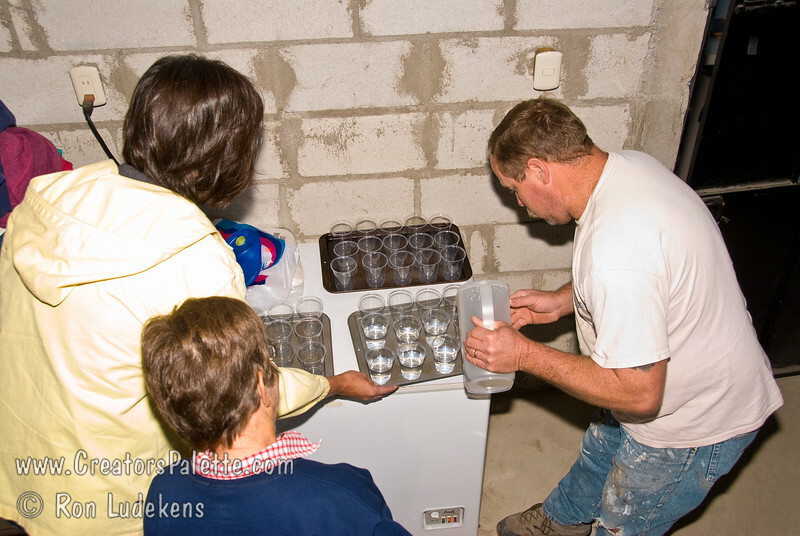 Clean Water being collected and poured into glasses for serving later.